In light of recent tragic events in Paris and around the world, I’ve come to the realization that not everyone I know has the knowledge and compassion needed to survive and thrive in today’s reality. So many people are posting messages of hate and intolerance on social media and, at times, it can feel so overwhelming that it makes me want to retreat myself (along with my family) into a cocoon of safety, love, and reason. “I’m tired. I’m tired of the news. I’m tired of the hate. In tired of the vitriol. I’m tired of all the debate. I’m tired of the blame. I’m tired of blanket statements and generalization. I care deeply about the fallout from it all, and my heart goes out to those affected by the actions of a few. But the fact of the matter, is that until we can get away from the blame and the hate, we are never EVER going to get away from terrorism. Terrorism wins when there is fear, hate, animosity, greed, blame and despair. So what are we left to do? My answer is to look for the good in everyday life. You can find it, I promise it’s still there. Clear your mind, hold that chin up high and be a part of everything you feel is right in the world. I’m not saying that you should ignore what is going on in the world, but to learn when enough is enough for you. Counteract all that is evil and hate with giving and joy. We’re in the middle of that perfect season between Thanksgiving and Christmas – a great time to reflect upon everything that is good in your life and the world around you. On the very last day of my daughter’s group therapy, I left the house in such a hurry that I forgot my wallet. 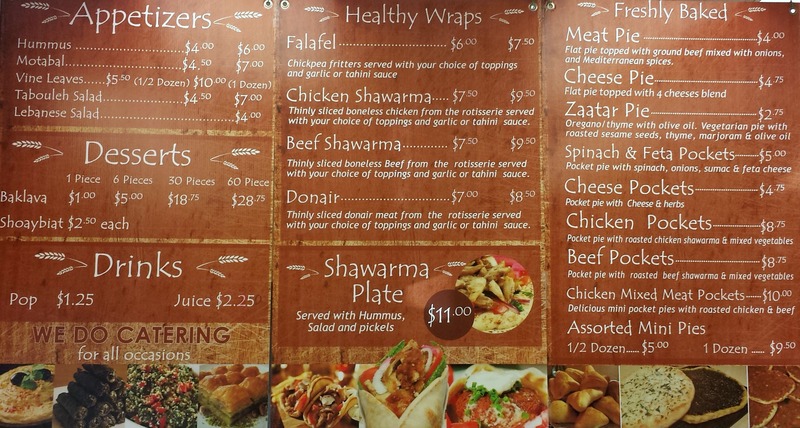 As we drove across the city to the Alberta Children’s Hospital, I was really looking forward to a shawarma at Beirut Bakery, a place we had discovered together, only the week before. I had no idea that my day was about to change…for the better. What really made me go back, though, was the owner Mahmoud Rafih. Mr. Rafih is a small business owner who works hard and takes pride in every aspect of his business. 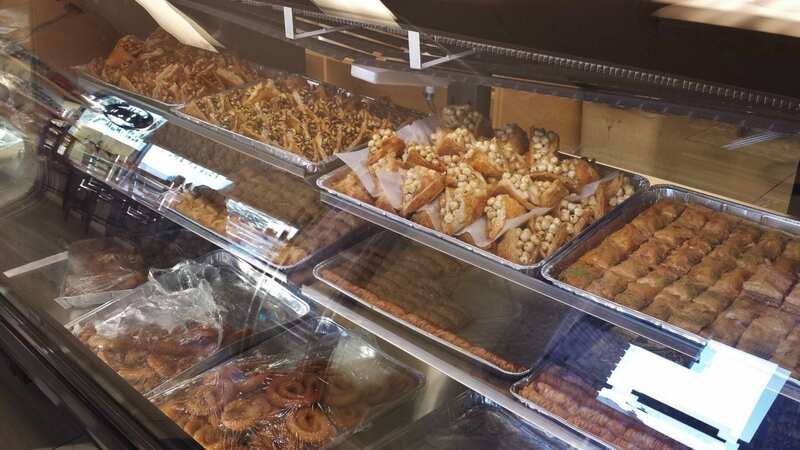 The small area of grocery lined shelves are neat and tidy, as are the display cases filled with sweet and savoury pastries. When you walk in the door, Mahmoud offers a sample of Fatayer (a meat filled pastry) as a welcome. After I had ordered my shawarma and discovered I had no way to pay for it, I was mortified. I ran to my car to see if I could find any money and was relieved to find that my daughter had almost enough to pay my lunch bill in her school back pack. I still felt quite bad and Mahmoud tried to cheer me up, telling me it was okay and that I could pay the $1.50 the next time. He even made jokes about me driving around without my license (even though I was petrified of doing that by now…) and offered to phone the police when I left the store. Seeing this new side of his personality inspired me to think about the positive aspect of our situation. Here I was, petrified and owing money for my lunch and here he was with a story to tell. I quickly introduced myself as a food blogger, gave him a business card, and asked for his story. Mahmoud Rafih came to Calgary via Saudi Arabia in 2008. He was originally from Beirut and I didn’t want to pry into the reasons why he came to our country. Suffice it to say that this man left his country of origin and ended up in Canada, initially working with his brother at Little Lebanon Pita, Pies & Donair until he had saved up enough money for his own business. He bought up a space on 17 th Avenue that had previously been a convenience store, renovated it, and opened almost one year ago. He works long hours, sometimes 15 hours a day, but he still takes the time to know his regular customers and make all of his food from scratch. 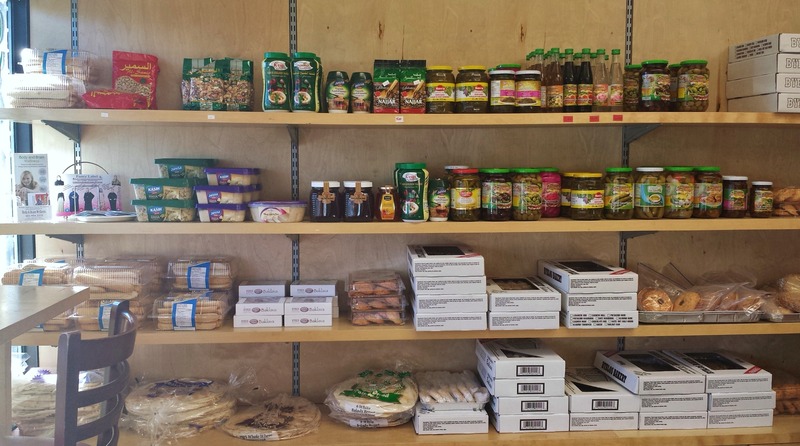 Mahmoud has made a conscious effort to alter some of his recipes, like the Warak Inab (stuffed grape leaves) and Mujadara (rice and lentils with crispy onions) so they are available for his gluten free customers. While I am not please that I left my wallet at home and short changed Mahmoud out of $1.50, I am please that I get to go back again for another visit to pay him back. I may just bake him some cookies in return for the kindness he showed me that day. I guess you just never know when the great and positive things in this world will appear amidst all the dark destruction but it’s always a great thing to keep your mind and spirit open for when they do. You are a wonder. Thank you for being an e-friend.